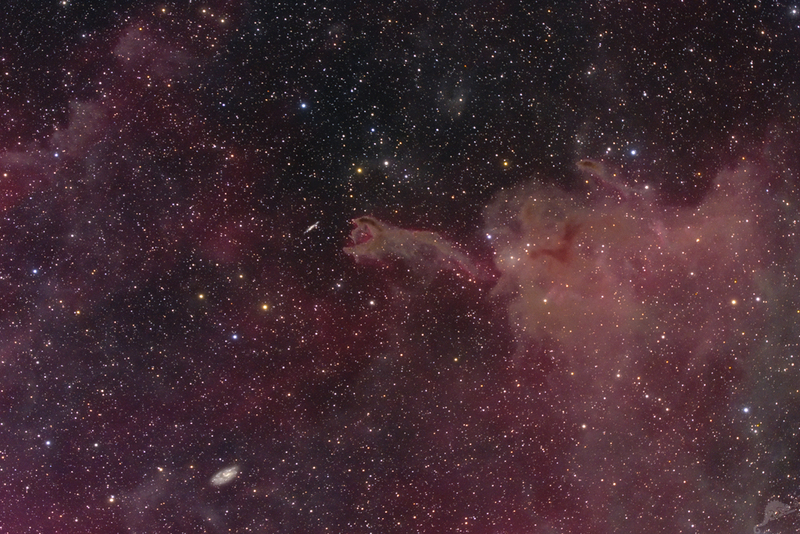 The cometary globule CG 4 in the center of the image belongs to a series of elongated, comet shaped objects in the hugh area of ? 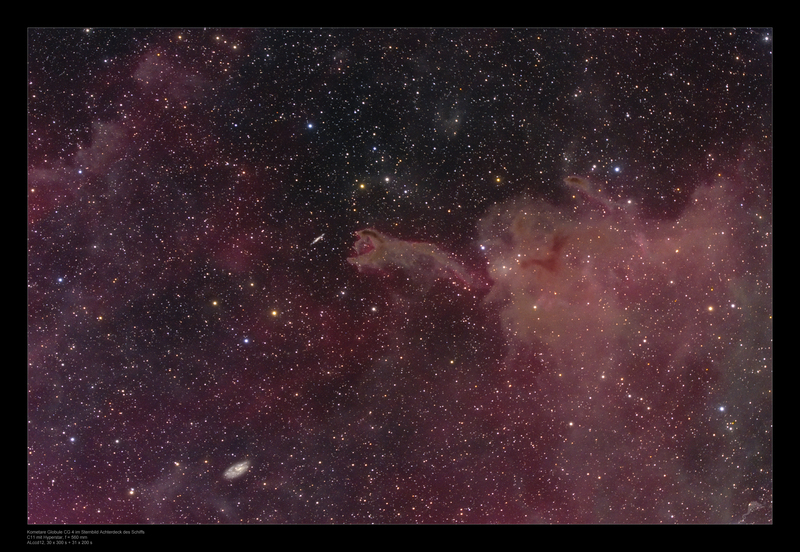 ?the Gum nebula. The globules have a dense, dusty "head" and a "tail" pointing away from the Vela supernova remnant which is located in the center of the Gum nebula. Two possible explanations for the form of these objects are discussed at the present. On the one hand, the Supernova explosion can be responsible for the shape of the globules, and on the other hand the radiation of hot young stars in the region can be responsible for these objects. molecular cloud contains enough material for several stars and very probably an active star formation takes place in the interior. 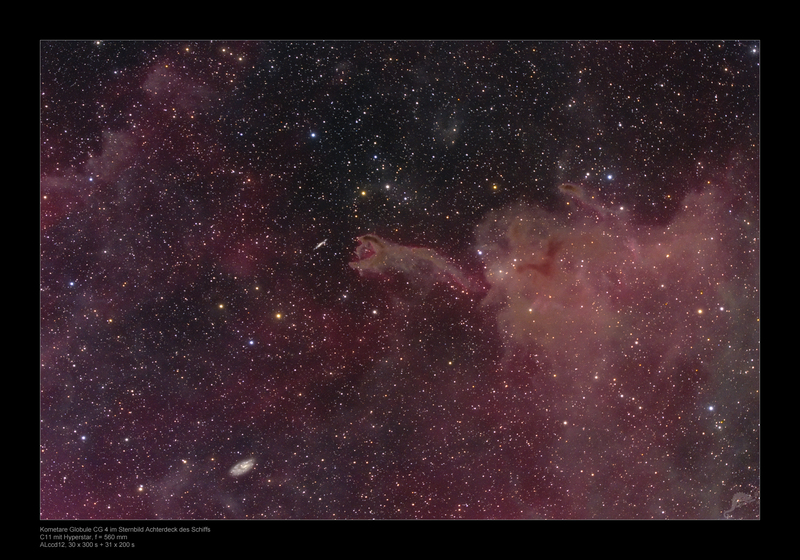 The entire image field is covered by very weak emission nebulae. 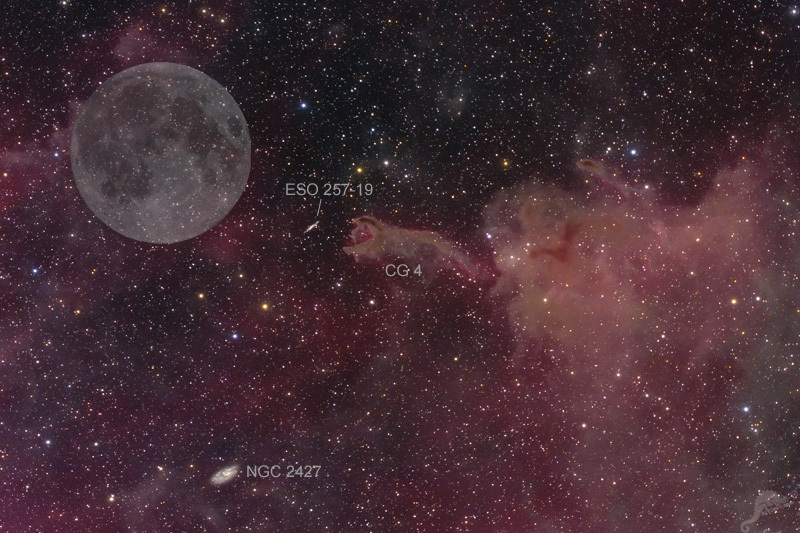 There is hardly a place in the image where a neutral sky background is visible without any nebula. Click here or the thumbnail image above for the object identification and a comparison with the size of the Moon.